Photos and close-ups of vegetable vendors. 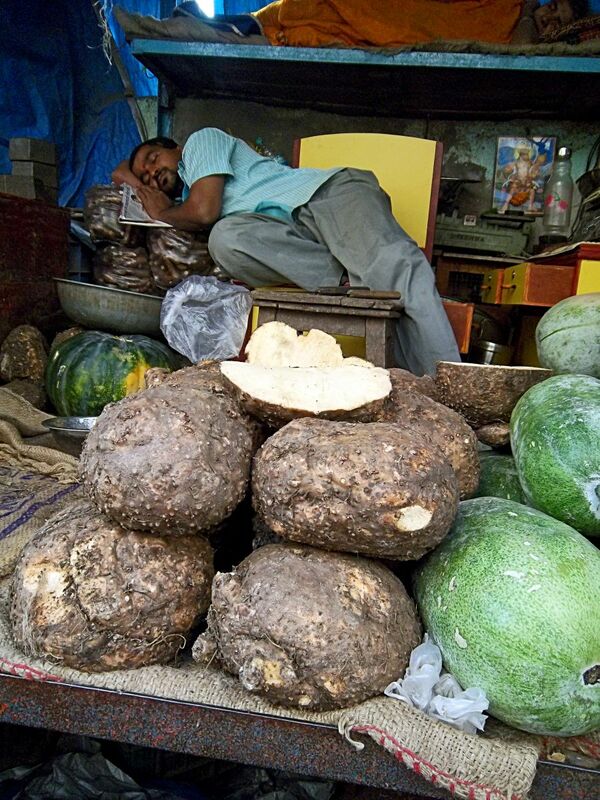 Here is a vendor fast asleep! He selling pumpkins and also the large brown skinned root vegetables commonly consumed in India. Not sure what they are called. 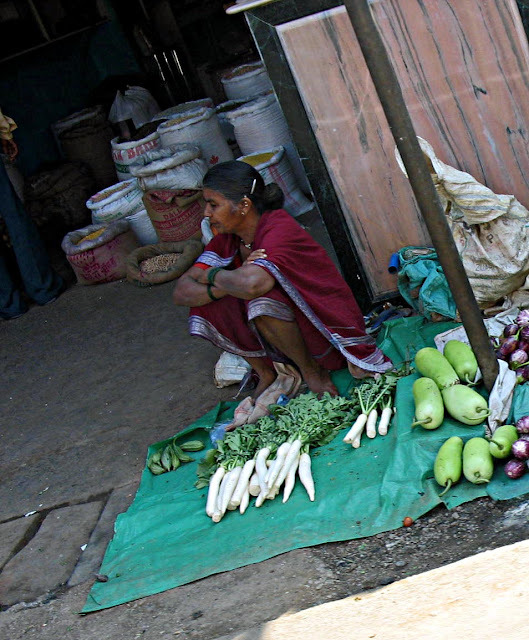 Perhaps this shop doubles up as a home, because a level higher one can glimpse a woman sleeping. A picture of a god is also seen in the background. 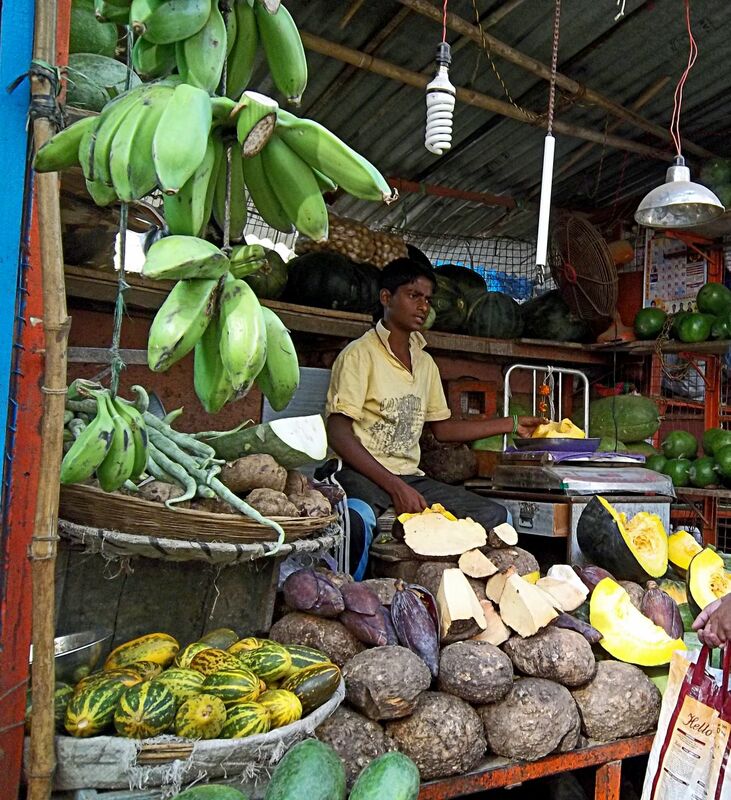 A vegetable vendor selling pumpkins, raw bananas (eaten as a vegetable) and also root vegetables common in India and China. 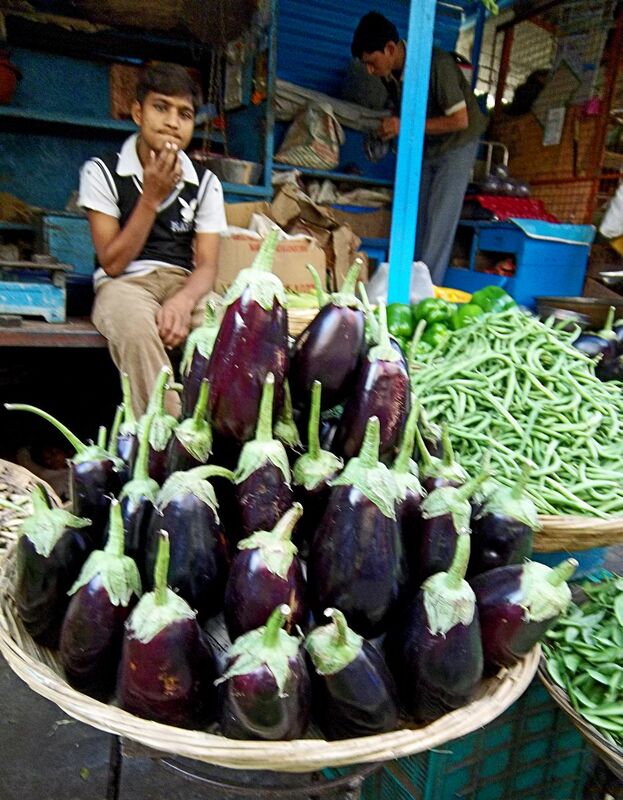 A bored vegetable vendor with bright purple brinjals for sale. Beans and capsicum can be seen on the side. Related Images: Vegetable Markets in India or click any of the labels below this post.